Home > Parents > Kids and Healthy Hearing Habits > Too Loud. Too Long. Decibel level: How loud the sound is. Distance: How close you are to the source of the sound. Time: The length of time you are exposed to the sound. The louder the sound, the more damage it can cause to your hearing, and the quicker this damage will occur. Sound is measured in units called decibels. Any sound at or above 85 decibels can damage your hearing. Learn more about decibels. Researchers have found that people who are exposed over long periods of time to noise levels at 85 decibels or higher are at a much greater risk for hearing loss. That’s why some workers are required to wear hearing protectors, such as earplugs or earmuffs, while they are on the job. Did you know? 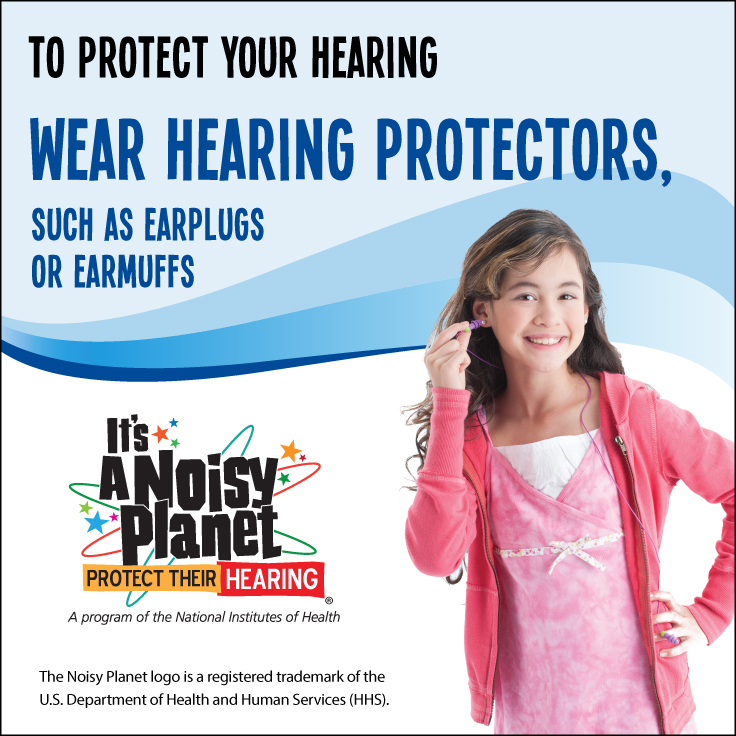 Many devices that children use today have noise levels much higher than 85 decibels. For example, a mobile device at its highest volume is about 105 decibels. That's 100 times more intense than 85 decibels! Manufacturers are not required to limit the maximum sound output of music devices. Fortunately, many devices do have volume limiting controls, which allow you to set the maximum volume to a safe level. A sound gets louder as you move closer to the source and softer as you move away from it. If you are far away from the sound, the risk of damage to your hearing is much lower. At concerts, for instance, sitting away from the speakers will reduce your risk. The impact of noise adds up over a lifetime. If you are exposed to loud sounds on a regular basis, your risk for permanent damage increases over time. Even a single but long-lasting loud event can cause damage. Limit your exposure to sounds at or above 100 decibels to no more than 15 minutes, and limit sounds that are at or above 110 decibels to no more than 1 minute. Some music devices have the option for users to set volume control limits. Don’t sit/stand right in front of concert speakers. If you find yourself without access to hearing protection, cover your ears with your hands. Music patrons’ experience and attitudes of earplugs saw improvement after wearing them for 16 weeks as indicated by study sponsored by National Acoustic Libraries.